I was wondering wich are the difference of between the "ordinary" thin keel and this one what is on the same boat ( a 42 ft) weight . - less drag due less wetted surface? - more drag due the vortex from the first "fin keel" that goes on to the second? -more lift as flatter bulb...so more resistence again..
-capsizing/rightening moment/positive stability angle: according to me the shallow draft is better because the water can pass through the hole, without act on the longer keel as a " lever" , making the boat roll more, so i guess it could be better with it. It's not a fact of the assolute number for angle of vanishing stability is a fact of how easy or hard is to reach it. Stress on keel bolts is a function of the lever arm/righting moment of the keel, vs. the number of, & offset distance between the keel's bolts. Any level of stresses created by a keel, can be minimized by the bolt pattern (transverse spacing distance) & the number (& size) of the bolts. That, & by designing very strong keel floors into the boat. Either way, those numbers yield a Very light keel for a boat of the stated displacement. Unless you have a Very deep draft. For example, a Class 40 racer has a very light weight keel bulb, but also, a 10' draft. And, the bulb in said attached picture is much more than 1.5t of lead (or most any type of ballast). 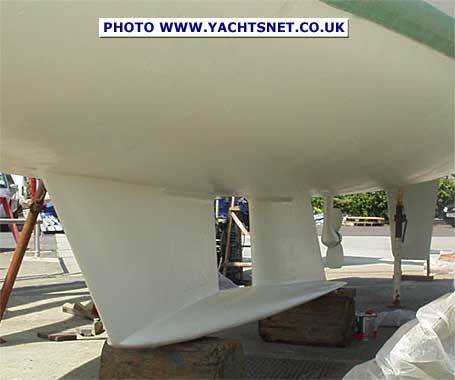 Yes, such a keel will definitely produce Much less lift than a conventional fin. From the image, it likely has more wetted surface than a fin does. If you want minimum wetted surface, go with a small foil section, & a big bulb on it's end. The drag produced by such a keel would far exceed anything I've seen to date. 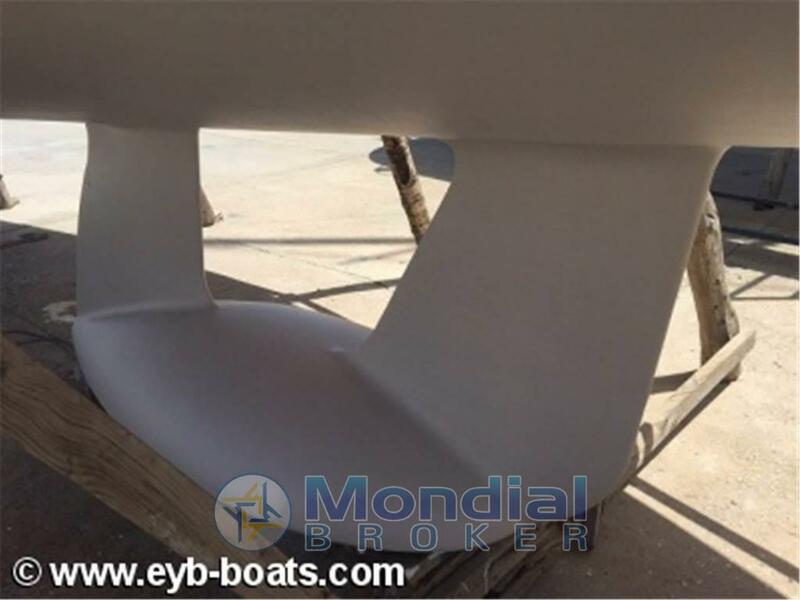 With this shape, when you go aground, the keel will act much akin to a wing keel. Which are known for as acting very much like anchors. Meaning that they make it more difficult to get unstuck. This keel looks like a (poor) attempt to add more weight down low to a Warwick Collins Tandem Keel. As popularized by author Annie Hill, in her book Voyaging on A Small Income. In her book, she & her husband built a shallow draft, junk rigged, dory design. Drawn by the Benfford Design Group. And fitted a Warwick Collins type keel to it. On the Tandem Keel as I've seen them, there are 2 vertical foils, with a gap in between them. And a flat'ish bottom plate which connects the two together. Does anyone has a boat with it or ever sailed one? All times are GMT -7. The time now is 00:13.